Inspired by the Buddha White Tara, this beautiful CD weaves together new devotional chants and music with traditional mantras and prayers. At root, this offering is a journey through the wisdom, love and compassion of the Mother Tara and her grace in holding us. 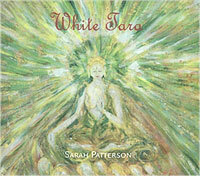 MP3 - Peace Rap by Sarah Patterson with Susannah Darling Khan.